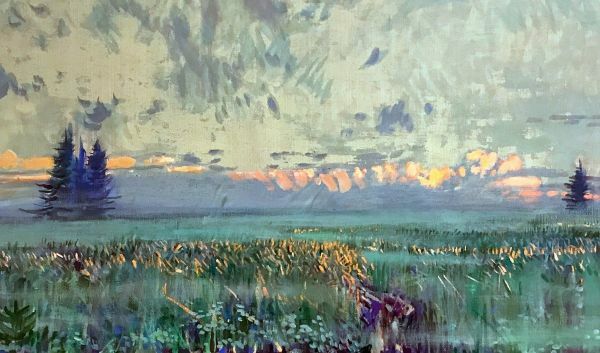 Buy works – Abakumov Mikhail Georgievich | (born in 1948, Kolomna - 2010, Kolomna). Abakumov Mikhail Georgievich (born in 1948, Kolomna - 2010, Kolomna). Honored Artist of Russia (1993). People’s Artist of Russia (2001). Laureate of the V.K. Bialynitsky-Birulia Prize (2002). Honorary citizen of the city of Kolomna (2003). 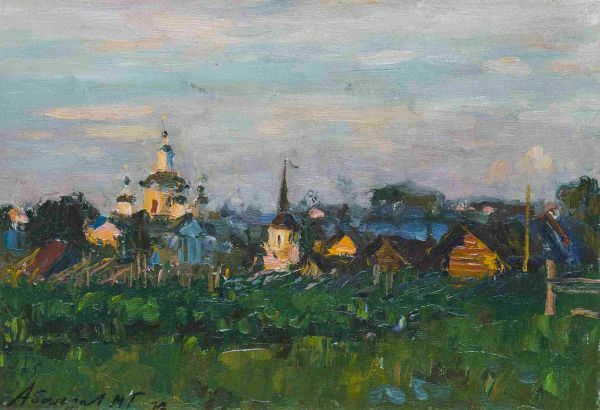 Mikhail Abakumov entered the Moscow Kalinin Higher Art and Industry College in 1964. In 1971 he entered the faculty of arts of the State Film Institute (VGIK) where Professors I. Shpinel and A. Myasenikov were his teachers. 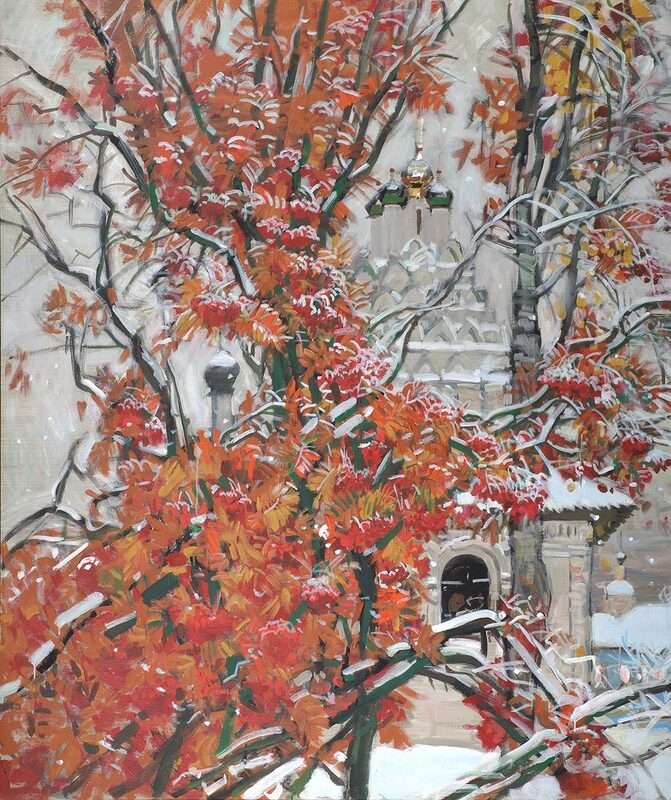 From 1977 to 1983 Mikhail Abakumov worked at the Painting Studio of the Academy of Arts of the USSR under А. & С. Tkachev and A. Gritsay. The artist participated in exhibitions at city, republic and union levels as well as abroad since 1975. In 1985 and 1987 he was awarded honorary diplomas by the Academy of Arts of the USSR. 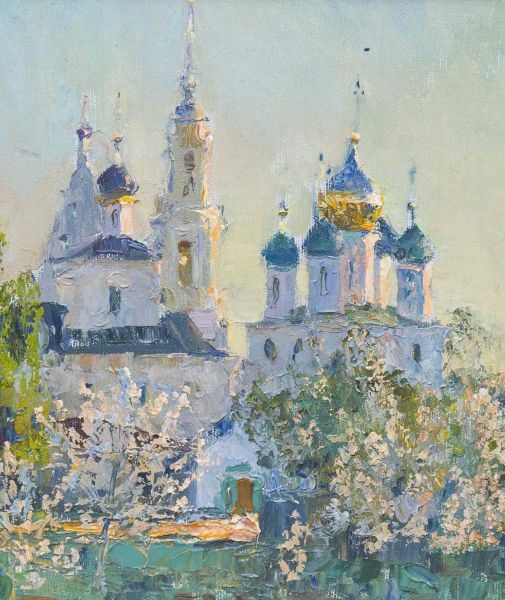 In 1995, the Russian Academy of Arts awarded him its Gold medal. He joined the Artists’ Union of the Russian Federation in 1980. The artist had his one-man shows in Kolomna (1982), in Moscow (1989, 1993, 1995, 1996, 1998, 2002, 2004) and in many other cities of Russia as well as in Rome (Villa Abamelec, 2000), Naples (2001), and Paris (2003, 2004). 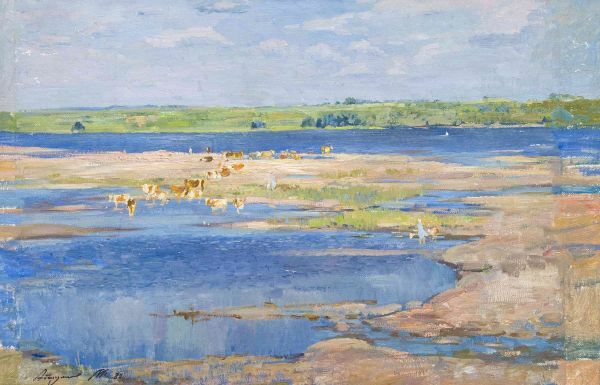 The artist’s works are in the State Tretyakov Gallery, the Moscow Museum of Modern Art, in many regional museums, and in private collections in Russia and abroad. Technique – Plywood, oil, tempera, varnish. 100000 - 110000 rub. 100000 - 110000 rub. 420000 - 480000 rub. 420000 - 480000 rub. Noon on the Oka river. Technique: Tempera, oil, varnish on fireboard. 80000 - 125000 rub. 80000 - 125000 rub. April on the Tver ground. 200000 - 300000 rub. 200000 - 300000 rub. A scetch to the moovie of Ray Bradbury "451 by Farenheit". The time of willow herb. 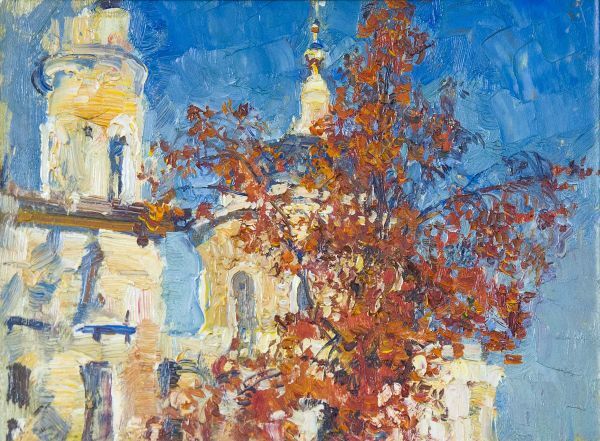 Technique: Сanvas on pasteboard, oil. 220000 - 260000 rub. 220000 - 260000 rub.